Kawasaki Revolution | Throttle Life! Back in the 1970s and 1980s, motocross riders had a few choice nicknames for four-stroke motocross bikes. “Thumpers” was a kind one, but less flattering labels like “anchors” and “sleds” also prevailed. As for some others, we’ll leave them to your imagination! 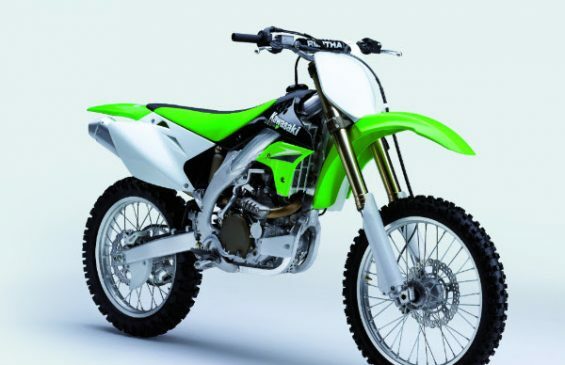 Fortunately, this all changed for good as the four-stroke revolution began, ultimately including Kawasaki’s launch of the KX™250F in 2004 and KX™450F in 2006. Built around high-revving, short-stroke single-cylinder engines with dual overhead camshafts, four valves, slipper pistons and liquid cooling, this new MX breed strongly borrowed from high-output supersport and superbike technology. Boiled down to the essence, they were slices off a road-racing engine. 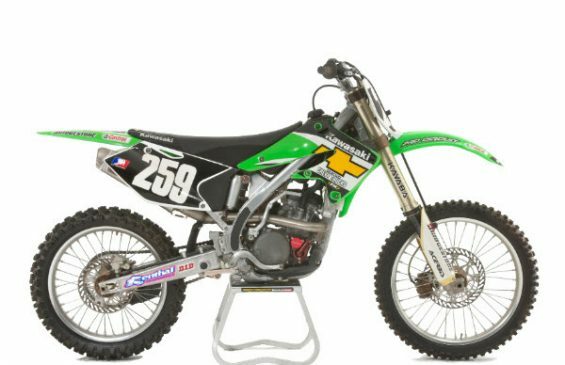 Sharing the lineup with Kawasaki’s 65cc to 250cc KX™ two-stroke models, the new four-strokes immediately expanded the appeal of the Team Green™ program for amateur racers, while giving pros a choice of battle weapons. Pro racing victories for the KX250F motorcycle started immediately, with Ivan Tedesco winning the 2004 AMA 250 Supercross West championship, James Stewart sweeping the final round of the 2004 AMA 250 Motocross outdoor series, and Grant Langston taking the 2005 AMA 250 Supercross East championship. The KX450F model also scored quickly, as Stewart added an AMA 450 Supercross title in 2007 and an AMA 450 Motocross championship in 2008. Most incredible, though, was Ryan Villopoto’s four consecutive premier-class Supercross titles from 2011 to 2014. All told, the Lime Green KX four-stroke motorcycles won 25 AMA Motocross and Supercross titles in just over a decade. After its initial launch, Kawasaki constantly advanced the KX250F, with a major redesign including an aluminum perimeter frame for 2006, and fuel injection and a Showa Separate Function Fork (SFF) for 2011. 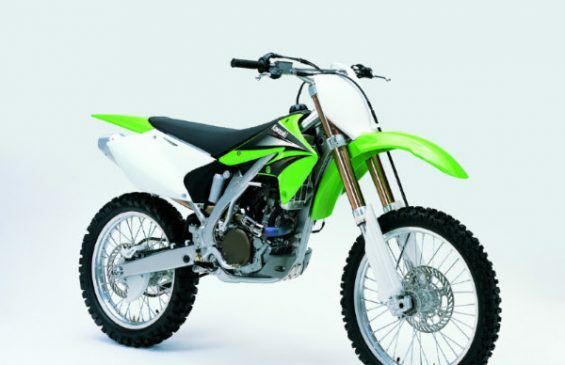 The KX450F debuted with an aluminum frame, then added a five-speed gearbox for 2007, fuel injection for 2009, and selectable power modes and Launch Control for 2012. Not bad, for a couple of thumpers.